Rhizome | Blog Posts tagged "the download"
Zoë Salditch | Tue Jun 4th, 2013 9:26 a.m.
For those of you who were unable to join us for the We See In Every Direction Official Surf Party last week, here is a video from the artist, Jonas Lund, that captures some of the highlights of what happens when dozens of people try to share a single browser window. Cursors circulate like flies, the URL window becomes a turf war and a good time is had by all. Even if the official event is over, the party doesn't have to stop—you can still collaboratively surf the Web with strangers by installing We See, available on The Download. If you're hungry to learn more about the event you can also check out some tweets with the hashtag #WeSee or peep the Facebook event page where some discussion took place. Zoë Salditch | Wed May 15th, 2013 11 a.m. 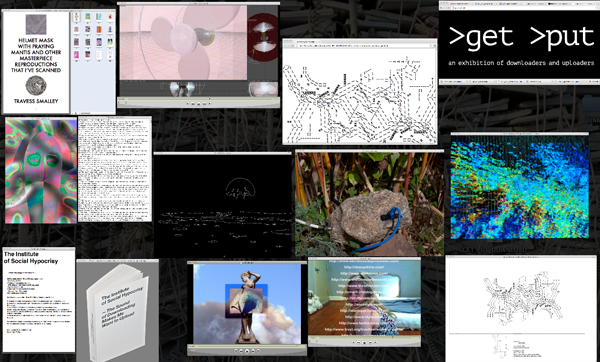 This month The Download features We See In Every Direction (2013) a Web browser for collaborative, synchronized surfing by Swedish artist Jonas Lund. Browsing the Internet is typically an intimate and personal experience for just one person, but in We See, users traverse online information streams in a collective surfing environment. Users can type, click and change URLs in real time together; they can jockey for control of the browser--akin to fighting for the TV remote--or choose to sit back and let their friends take care of the surfing. Like many of Lund’s previous online works, the piece opens up the walled-off spaces of the Internet for shared use. The Download is Rhizome's ongoing digital art exhibition and collecting program that features new works by great artists for free download. Zoë Salditch | Tue Mar 12th, 2013 1 p.m.
Rhizome is pleased to present The Download's first free and open project, featuring Deanna Havas. Havas offers a solution to earn back your membership donation once required to access The Download. By participating in the Affiliate Program (2013) a user can set up their own affiliate website to generate traffic to its host site, deannahavas.com. As an afﬁliate publisher, you will be reimbursed relative to how much trafﬁc you drive to the site, which is calculated via metrics like pay per click and cost per impression. The package includes a small website, banner ads, and media ready to use for your microsite as well as step by step instructions to create your website. 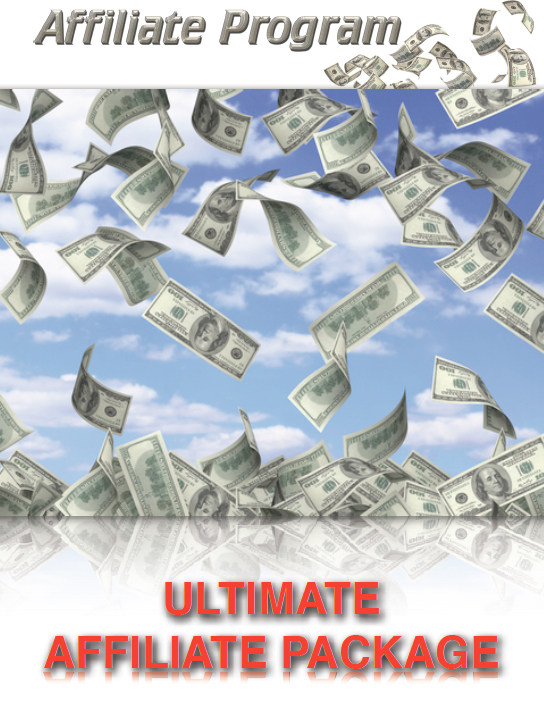 Affiliate Program creates an alternative economy that enables a Rhizome member to reap rewards by participating in the program. The Download is Rhizome's digital art collecting program which features one work per month for free download. Zoë Salditch | Tue Feb 12th, 2013 10 a.m. 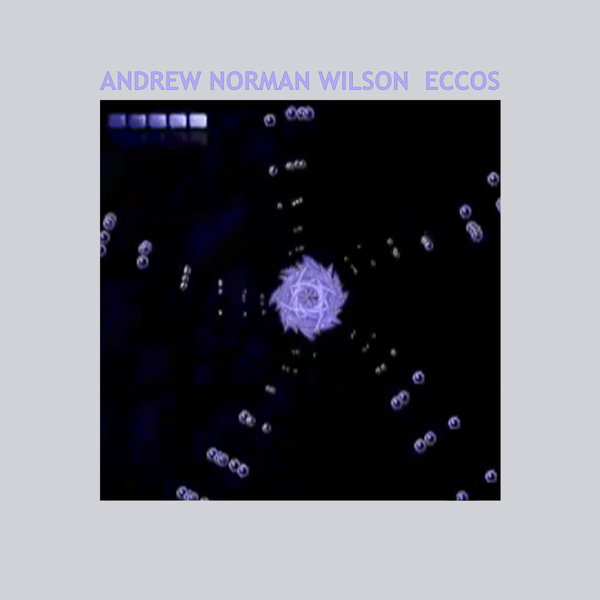 This month, The Download premieres Andrew Norman Wilson's first experimental album, ECCOS (2012), a modified soudtrack from an Ecco the Dolphin gameplay video. Wilson contextualizes ECCOS as furniture music: not a centerpiece, but a backdrop for thought and other activities. The project utilizes an input output system, in which he employs the simple "change speed" and "echo" effects in Final Cut Pro and pushes them to their maximum values. Wilson has diagrammed the process (included in The Download), relating it to kindred experiments like Brian Eno's Discreet Music. In that spirit, ECCOS seeks –and finds– a limit within the music itself. Learn more about Wilson's diverse practice in his interview with former Rhizome Editorial Fellow, Louis Doulas. The Download gives a first look to great art for Rhizome members. Start your own digital art collection by becoming a member today. Zoë Salditch | Thu Nov 1st, 2012 4:29 p.m.
>get >put is an exploration of the interplay between the physical, social and digital spaces of networked culture. Installed as a series of digital compositions anchored in spatiotemporal objects, the work focuses around the fundamental shared behaviors of ‘downloading’ and ‘uploading’ that support our networked world. The exhibition exists in two parts – as digital compositions installed in HTML for this download, and as physical pieces produced for the exhibition’s installation. Zoë Salditch | Mon Oct 1st, 2012 12:51 p.m. This month on The Download featuring an interactive software piece by Brazilian artists Angela Detanico and Rafael Lain. Pond Type (2012) transforms the QWERTY keyboard into a hauntingly beautiful musical instrument for digital poetry. Inspired by Brazilian concrete poet Augusto de Campos's "Pulsar," the artists Detanico and Lain designed a ripple typeface for an exhibition of the poet's work for the Elisabeth Foundation for the Arts. 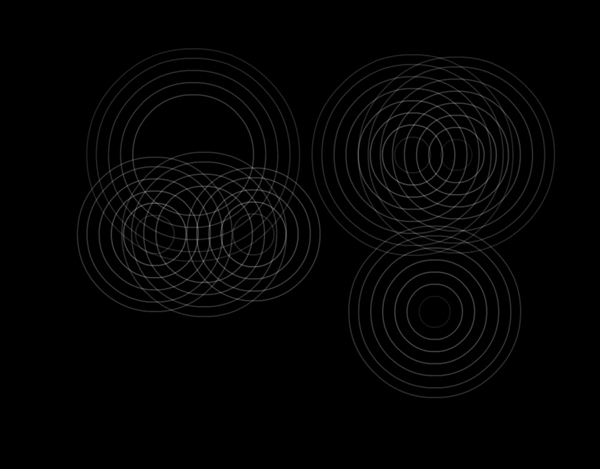 For The Download, they combined the typeface with sound to create an interactive version of Pond Type. After selecting any text or poem, the viewer is instructed to type slowly and wait for each word to vanish before typing the next. By deliberately slowing down the urge to type quickly, the artists delay gratification and encourage careful listening. Zoë Salditch | Tue Sep 4th, 2012 12:51 p.m. This month The Download features Kristin Lucas's digital book The Sole Ripper (2012). 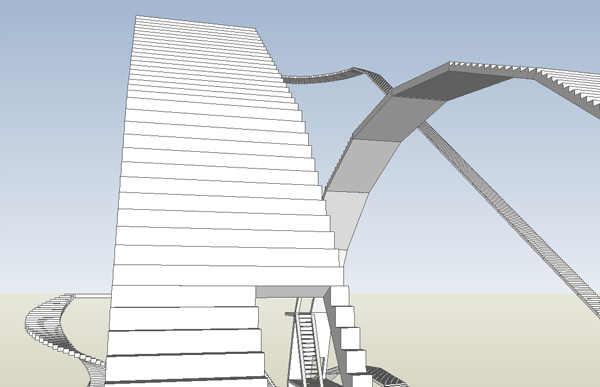 The Sole Ripper is a digital book containing a 1:132 scale architectural view of a fictional pedestrian roller coster modeled for an empty lot in Manhattan discovered by Lucas on Google Maps. The architectural plan arrives fragmented and out of order, given its shape through a process of software conventions and workarounds. It is a visual corollary to the download process in which files are broken down into packets and transmitted over internet pathways from one computer to another, and reconfigured at their final destination. Only, Lucas leaves the task of file reconfigurability open to the viewer, and opts for an alternative view that features a 352-page vertical drop and bears likeness to a filmstrip. Recalling Luis Borges's hyperreal map that was as large as the empire itself from "On Exactitude in Science," Lucas's plan for The Sole Ripper is too large to see in its entirety even when reassembled. Zoë Salditch | Thu Aug 2nd, 2012 2:41 p.m. This month The Download features Elna Frederick's screensaver triptych Birth, Art Gallery, Death (2012). Birth, Art Gallery, Death is a minimalist triptych in the form of a screensaver package. 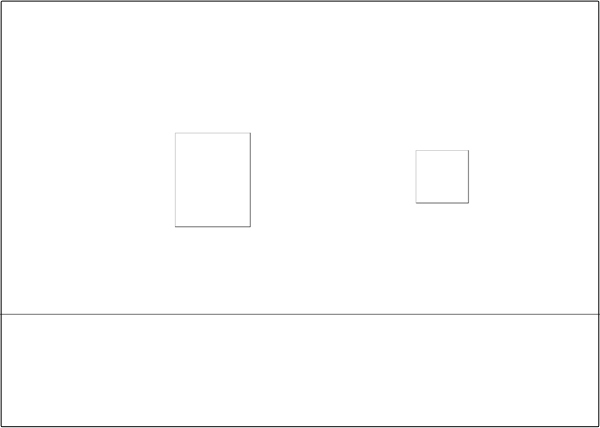 With white as life and black as death, each screen saver panel marks a stage in the cycle of consciousness. Birth is the genesis of consciousness through a birth canal of white arriving out of darkness. Art Gallery, where black is conspicuously absent, is the finite enclosure of a lifetime. Its contents are the thoughts and creations arising in consciousness; representations of life. Death, represented by black slowly descending upon a white screen, is ultimately a representation of life. The Download is accessible to all Rhizome members. Start your digital art collection by becoming a member today. Rhizome | Mon Jul 2nd, 2012 11:01 a.m.
Rhizome is pleased to announce the lastest Download featuring World Class GFX Pack (On the DL) by Kari Altmann, a wifi-based artist with interests in algorithms, art direction, and the mutation that occurs as things travel through systems of production and exchange. Mimicking the form of a graphics pack that users can download in a number of online marketplaces (or rip from black market torrent sites and filesharing communities), Altmann offers up a range of world class effects and elements from her own projects that can be used and repurposed to add extra value to yours. The Download is accessible to all Rhizome members. If you would like to start your own collection of digital art, become a member today. Zoë Salditch | Mon Apr 2nd, 2012 10 a.m.
Rhizome is pleased to announce London-based artist James Howard is featured this month on The Download. Images in online scams and phishing schemes can seem as artificially generated as the text — like botnet generated folk art. But there is a human hand at work. What do you think is the human element that draws people into these schemes? People are like machines - their brains react to temptation like a computer does. Most people are able to recognise a scam, but if someone pulls the right string, sooner or later all that subconscious stuff inside you is going to lead you down the wrong path. Scams get people by playing on insecurities, desires, fears, greed, whatever - it's uncontrollable and causes one in a thousand people to make a snap decision and pay up. What do you consider the visual clues of this kind of kitsch of deception? Any interesting patterns or trends you've spotted over the years of collecting examples?